Lobbyist Chris Kyler and Gov. 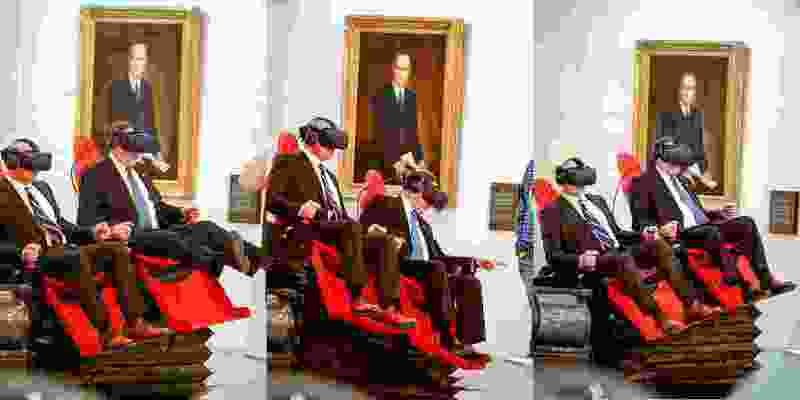 Gary Herbert fly throughout the Southern Utah landscape on a virtual reality flight in the Capitol’s Hall of Governors on March 4. Their 360 degree virtual tour was created by Innovative Entertainment’s inventors Daniel and Amber Thompson of Cannonville who would like to see their invention promote tourism in the state.